We Make What You Need. Metal-coated (Bare metal or with dielectric protective or enhancement layers) – including Aluminum, Silver, and Gold. 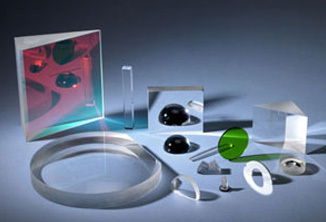 Zero-phase-shift and low-phase-shift mirrors for specialty laser applications. CNC-machined aspheric, for condensers: We can CNC machine virtually any glass, including fused silica. Polyethylene, Ge, ZnSe, CaF2, BaF2 substrates. The Challenge: An Optical Inspection Equipment Manufacturer had been purchasing a lens assembly for $300 each from one our competitors, and they were looking to reduce their costs. Their existing vendor owned the design, and the Optical Inspection Equipment Manufacturer did not know the exact parameters or specifications. The Solution: After receiving a sample from the Optical Inspection Equipment Manufacturer, we reverse engineered the lens assembly and created a computer model of the existing design. The Result: While reviewing the customer’s application, we enhanced the design to improve performance and provide them with a 33% cost savings. What had been costing them $300 each, Supply Chain Optics is now able to provide the item at $200 each.